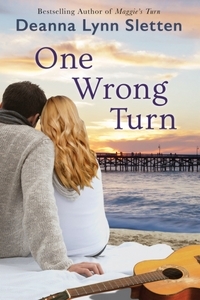 The subject of this week's blog post here at Budden Book Reviews relates to the upcoming release of One Wrong Turn by Deanna Lynn Sletten, scheduled to be published June 20, 2017. It is with great pleasure that I present this title to you but, contrary to what you may expect, it's not because the author asked me to promote One Wrong Turn on my site. It's also not because I've read the book and enjoyed it. Rather it's because of my past experience with reading Sletten's titles. Let's just say that I know, beyond a shadow of doubt, that when I pick up One Wrong Turn and decide to read it, I'm going to love it! As with other titles I've read which Sletten has written - such as Memories, Sara's Promise, Summer of the Loon, and Maggie's Turn - I am certain I will be transported to another world, to another set of circumstances which will draw me into the characters' lives so completely I will forget about everything, and everyone, in the world - except for my youngest granddaughter who has a way of making her presence known, regardless of what I may be doing. I've been in touch with Sletten over the past few years; she's always been a ray of sunshine and a breath of fresh air to me. I've been cheering her on from the sidelines and there is no one more proud than me that she has attained best selling author status for her title, Maggie's Turn. I can definitely attest to the book being in a ball park of its own (of those books I've read) and I couldn't think of a title more deserving, a book which could appeal to people on multiple levels. I could go on; I'm sure you've sensed that already but it's time for me to move along so you can learn more about One Wrong Turn and the woman behind the story. 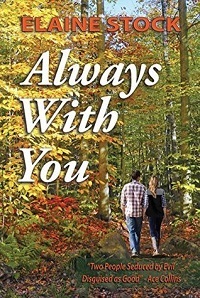 The words “I’m her husband” roll off Clay Connors’s tongue, but with his estranged wife lying in a coma—and no assurance that she’ll awaken—he knows he’s perilously close to losing everything. 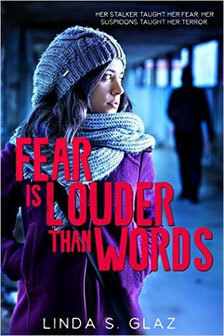 A singular, terrifying accident has left Jess Connors suspended between life and death. Now Clay is reunited with the family he hasn’t seen for two years, including the daughters he left behind. Clay should have been there for his family. He never should have stayed away so long. The alcohol that took over his life destroyed everything but a shred of his self-preservation. Sober and haunted, Clay revisits the memory of love, marriage, and how his life unraveled. He hopes that by trying to reconnect with the daughter who blames him and the daughter who barely knew him, he can find a light of hope in this darkest hour. As his family faces its most grueling, emotional test yet, Clay must summon the courage to make right what was wrong—and find forgiveness from his harshest judge: himself. To learn more about One Wrong Turn, to read the book or reviews, please click here to view its page on Amazon. Novelist Sally Fernandez wrote her way into my life and thoughts when she penned a story she later published titled, Climatized, which I would discover and decide to read. Neither of us imagined the impact the title would have on the other. After all, Fernandez was merely writing a story (even if interjecting fact with fiction) and I was only selecting a book to read to pass the time. Never in my wildest dreams did I anticipate reading such a book - one I can't forget about, yet would like to because of the disturbing truths it contains. In fact, each time I hear the phrase, global warming, it brings Climatized to the forefront of my mind. Though Fernandez didn't know I existed, I'm sure my reaction to the book is one she hoped to achieve. I will say one more thing before allowing you to get to know this wonderful author: she fascinates me ... truly ... in many ways. I can only hope that, one day, I have the absolute pleasure of meeting her. Read what she has to say and, by the time you've finished reading, you might want to meet her, too. The subject of this week's blog post here at Budden Book Reviews relates to the exciting events which have been happening in author Ashley Fontainne's world, especially in terms of her title, Ruined Wings. I've been in touch with Ashley off and on for a few years, having become acquainted with her after reading the first title of her Eviscerating the Snake series, Accountable to None. I went on to read the remaining two titles of the series, Zero Balance and Adjusting Journal Entries, and even conducted an interview with her a few years ago. Ashley Fontainne is an author whom I will definitely keep my eye on as she reaches new goals and attains new levels in her writing career. With a variety of genres to choose from, I'm sure you will find something that whets your reading appetite. “‘Ruined Wings’ is raw, real and a terrifying journey into addiction. A must read for every parent.” – Elaine Raco Chase, bestselling author. What a calamity of errors it has been trying to get the spotlight completed for Linda S. Glaz. Between both of us missing the initial deadline, to my laptop deciding to act up in the final hour, to my website deciding not to cooperate at the last minute - I am pleased to say that the author spotlight for Linda S. Glaz is now complete. In my dealings with Linda, she has come across to be an open, honest, entertaining, and patient woman. She tells things like they are, which I can only respect, and her enthusiasm for her stories and the excitement she feels when receiving another review for one of her stories, is genuine, even heartfelt. This is one Christian author whom I truly admire. I will now let you get to know a little more about this fascinating woman whose other books I am sure to read when an opportunity presents itself. Rochelle Cassidy has the perfect life as a radio talk show host in the Detroit market, but her celebrity status doesn't stop an angry listener from wanting her ... dead. Ed McGrath's ideal life as a pro-hockey player doesn't include a damsel in distress until the night he discovers Rochelle being attacked in a deserted parking structure.